I listened to this awesome book narrated by the mesmerizing, Julia Whalen, as part of The Hub Challenge. This historical fiction tale tells the harrowing effects of war on individuals, family, the world at large. Ana is a 10 year old living in Zagreb, Croatia when the Serbo Croatian War decimates her world and family. As Ana and her parents, ferry her very ill little sister to doctors who will get her to the US for the proper medical attention, Serbs at a blockade stop everyone on the road, march them to an isolated area, and destroy Ana's world. What I really liked about this book was the way the chapters were set up. First the reader sees Ana's carefree world become one of suspicion, violence and genocide. The next chapter, Somnambulist, finds Ana in college in New York and it is 10 years later. Ana has found her sister and been adopted by the foster family who cared for Rachel (Rahella is her Croat name). In school Ana tells everyone she was born in the US, never speaking about her life during the war. The next chapter, Safe House, is when she is asked to speak at the United Nations and Ana speaks about the war and being a child soldier. The final chapter, Echoed by the Trees, has Ana returning to Zagreb to find out about remanining friends & family and making peace with what happened to her family those many horrorfic years previously. What a powerful story told through the eyes of an innocent child who is devaststed by the war but lives to tell about its effects on her and everyone else around her, highly recommended! 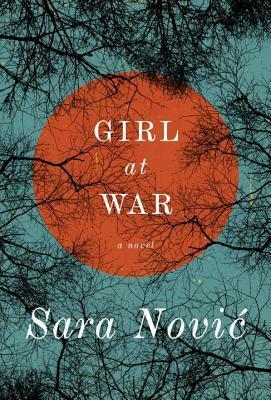 Sign into Goodreads to see if any of your friends have read Girl at War.